We start a new chapter that’s all about fonts. We’re going to look at built-in fonts, downloaded fonts, and even font services like TypeKit… and test-drive as much of it as we can, of course. 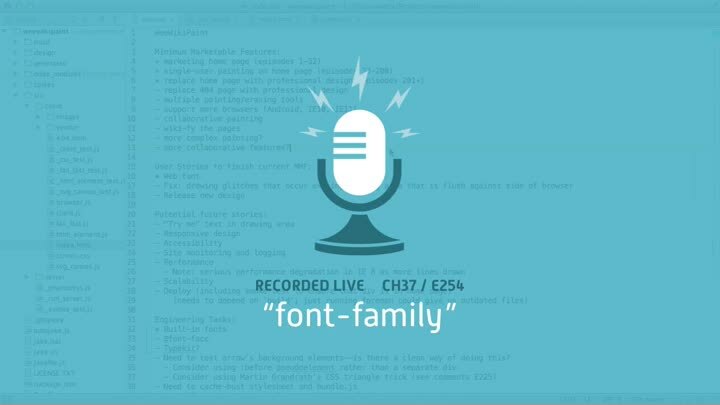 We start with a review of our progress so far, then get basic font-family support tested and implemented.